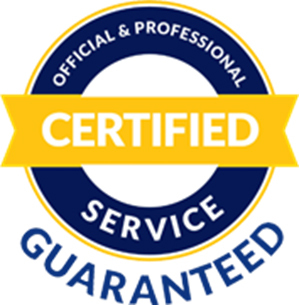 A certified or notarized translation refers to a translation done and certified by a translation company like Raffles Translation or notarized by a notary public for submission to authorities for legal or immigration purpose. The difference between the certified translation and notarized translation is that the former is signed and sealed by a translation company while the latter by a notary public. Since translation companies are not eligible to notarize the documents they have translated, only a law firm to which the notary public attaches is able to provide notarized translation, unless such law firm has its own translation resources, in which case, it can provide both certified and notarized translations. Starting from January 2016, all translated and certified documents to be submitted to ICA must be notarized by a local notary public if such documents are for permanent resident or citizenship application. This is to fulfil the legal function previously centralized by the High Court (now called the State Court) Translation Department. However, if similar documents are submitted to other authorities, such as MOM, MOE, LTA, ACRA, Traffic Police, or State Court or embassies, a certified translation will suffice. As one of the leading translation agencies with more than 20 years of experience in cooperation with the High Court Translation Department in Singapore, we are in a unique position of being able to certify what we have translated. By adopting a number of techniques to diminish the possibility of fraud, we follow the standards for certified translations and guarantee their legal accuracy and usability. After a document is translated and certified by Raffles Translation with our seal of “Certified True Translation” and signature of person in charge being affixed thereto, it will be accepted as valid by Singapore government or other official and non-official organizations, such as embassies, universities, insurance companies, the courts, etc. Our Quality Control Process is strictly observed when certified translation is carried out. That means that all translations must be edited and proofread by a second and third translator and reviewed by our QA manager before being certified by Raffles Translation. Just CLICK HERE to get a Free Quote on our Specialized Certified Translation or call us at +65 6570 6028.